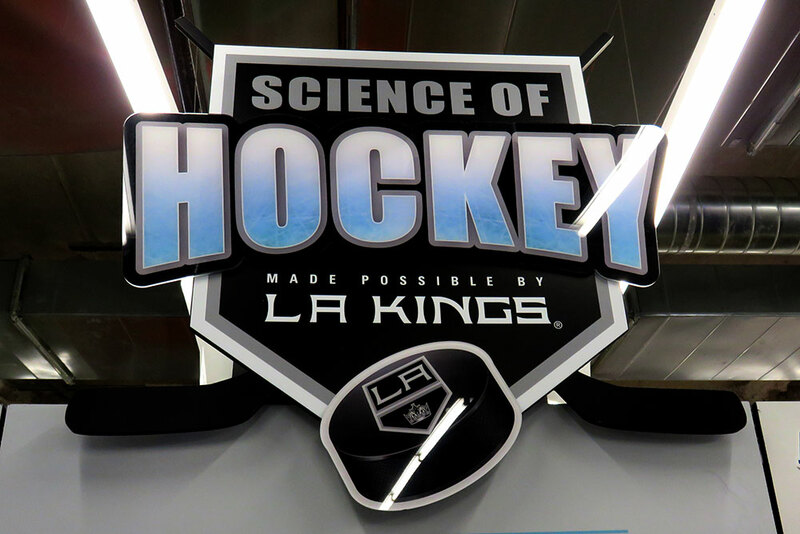 Aesthetec Studio worked with BaAM Productions to deliver several interactive exhibits in the Science of Hockey exhibit featured at Discovery Cube Los Angeles. 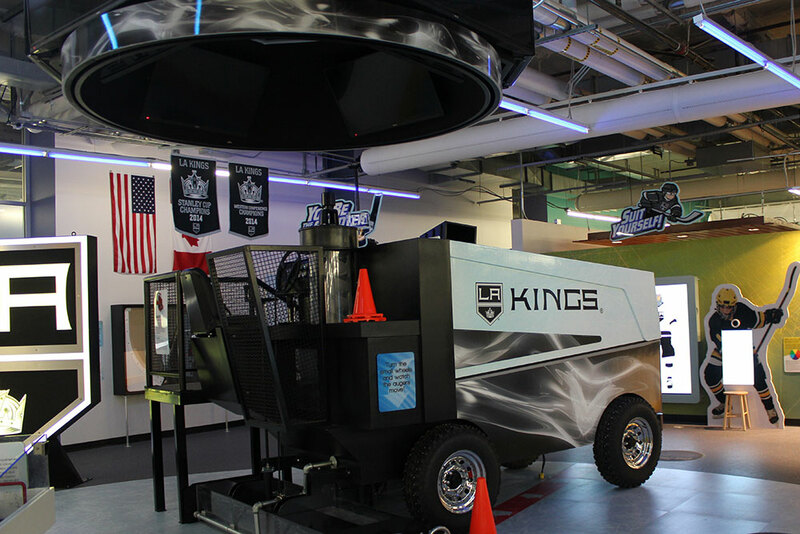 Key Exhibits include: a skating exhibit where visitors slide back and forth to skate with LA Kings’ captain Dustin Brown, a quiz exhibit where visitors are in the penalty box with Kings’ defender Drew Doughty, an exhibit where visitors can design their own Kings uniform and put their face in the helmet, and a large multiplayer game that teaches kids how to ‘be a King’. For this project, Aesthetec Studio was involved from the design phase all the way through to final installation. 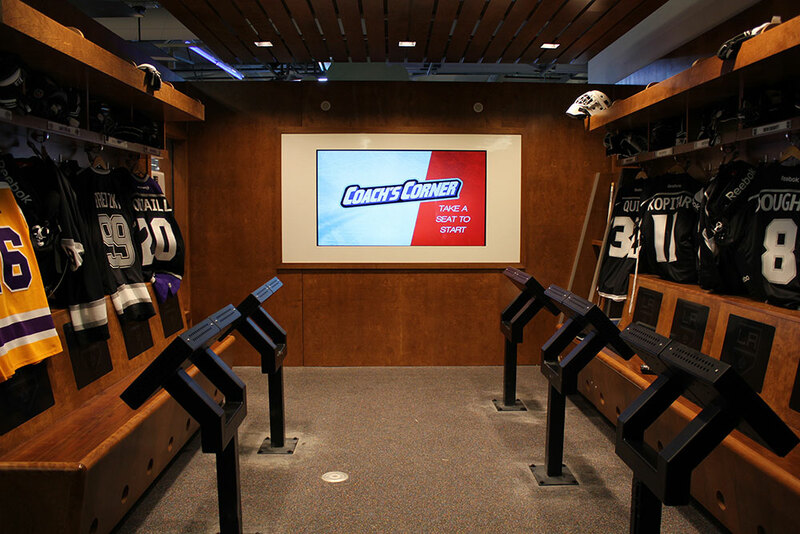 With concepts largely defined by BaAM Productions, our studio handled systems design, software design and development, AV design and installation, electronic design and fabrication, final installation and testing. 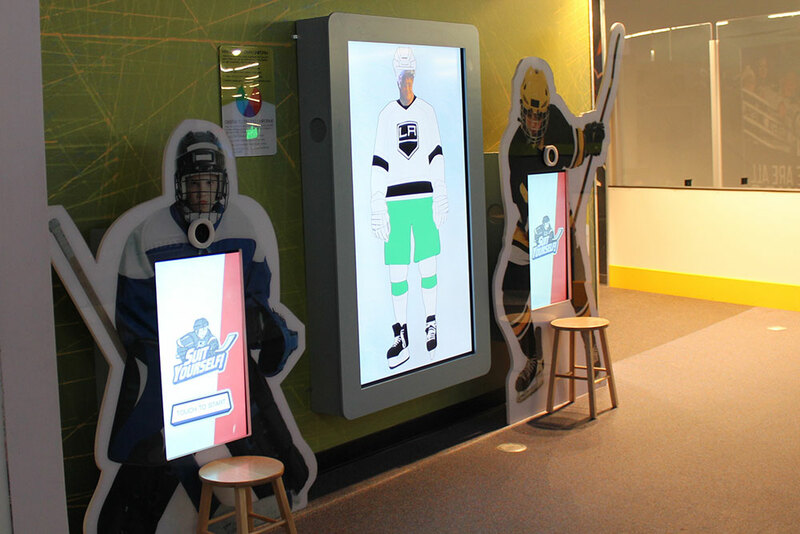 Each exhibit is designed to be remotely monitored and maintained using custom management software. The permanent gallery officially opened in March 2015.